(Newser) – Hip-hop lost a huge figure today, even if he's not a household name. 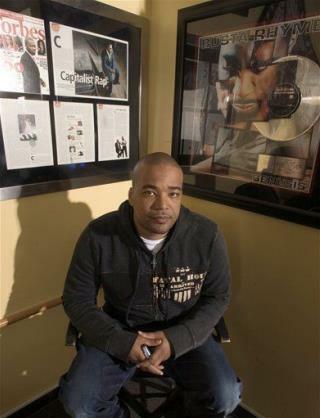 Manager Chris Lighty apparently shot himself at his Brooklyn apartment after an argument with his ex-wife, reports the Daily News. The 44-year-old had managed the likes of 50 Cent, Sean "Diddy" Combs, and Mariah Carey, though he was apparently in deep debt to the IRS, police sources tell the newspaper. Before starting his own company, Violator, he had worked with LL Cool J and other hip-hop pioneers. It's sad to see people killing themselves because they are broke. There is so much more to life than a bank account. "God please have mercy on him" say Rihanna. They are all going to suffer after this life is over, for selling their souls for material objects.